Why are broadband offices important? They are a focal point for any questions about broadband, a clearinghouse for information, a staging area for broadband projects, and they provide leadership on broadband issues. They’re critical to driving economic development through broadband. Through our ongoing work with governments at all levels on broadband issues, which includes the “ Fifty States of Broadband” study, numerous discussions with state broadband offices, as well as regional and national authorities, we would like to share what we would consider “leading practices” for a broadband office. First of all… have a broadband office. This seems basic enough, yet in the US only half the states have an office dedicated to broadband. Furthermore, for those that have broadband offices, a number of them are in the state’s IT department. This may seem like a fit on the surface, but strategic broadband efforts need to include more than merely overseeing the technology of broadband. As a driver for economic advancement and improving quality of life, broadband by itself will not reach its potential without a broadband office addressing important needs for driving utilization including training. For example, most businesses – especially small businesses – do not understand how to fully capitalize on the Internet and its applications. A broadband office should establish strategies to improve both the availability as well as the utilization of broadband. This includes providing communities with the information, tools, and technical assistance for regional planning – and leadership assistance when requested. Unfortunately most broadband offices are currently stretched thin on resources to drive meaningful use of Internet applications and with it economic growth and improved quality of life. The best broadband offices serve as evangelists, knowledge centers, and clearinghouses of information. They field and answer questions from legislators, mayors, and local stakeholders. They serve as advisors and help set goals and objectives for their communities, sharing and promoting best practices and advice. If an answer is needed, the broadband office either has it – or will find it. There is a tremendous opportunity to serve as a resource for citizens, but currently only twenty-seven percent providing digital literacy/technology training and twenty-five percent offering technology training for businesses. Effective broadband planning cannot stop with simply mapping where broadband is available. Broadband offices need to have the funding and capacity to not only understand where broadband is available, but also to understand where there is active vs. latent vs. potential broadband demand. This will identify where there are gaps in digital inclusion, digital literacy, and technical capability – each of which are barriers to growth and need to be addressed specifically. Capturing data on broadband supply and demand informs smart strategies and drives economic advancement. Investments and action plans need to address both access and meaningful use of broadband – a holistic approach. It is the broadband office’s role to write a statewide plan and hire expertise to fill in the gaps and make the plan a reality. Finally, benefits need to be measured and tracked to ensure that expected benefits will be achieved through appropriate investments. The fact is there is no ‘one size fits all’ solution for a broadband office. However, each successful broadband office we’ve studied is doing these things. Putting leading practices together with the funding needed is a necessary investment for growth in an economy that is increasingly online. There is a misalignment between the broadband industry and developing strategies to meet community needs. The focus on the private sector business case to assess network return on investment has not incentivized community innovation, productivity, and competitiveness. Progress has been made, but the path has been reactive, not proactive. Broadband providers have failed to creatively engage a critical element in the broadband marketplace – the consumer. Broadband is a transformative technology, disrupting business as usual and fostering new products, processes and services. By examining two vastly different examples of technology (and their visionaries) that are changing our world we can identify a better path for the broadband marketplace to follow. 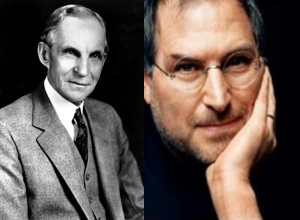 Apple’s Steve Jobs’ often said it was foolish to depend on consumers to tell Apple what it wanted because “A lot of times, people don’t know what they want until you show it to them.” One hundred years earlier Henry Ford explained his mindset, “If I had asked people what they wanted, they would have said faster horses.” Both of these leaders were at the forefront of innovation not by simply reacting, but by proactively crafting products that would change consumers’ lives in ways the consumer had not imagined. Meanwhile, in the broadband marketplace we are blowing it. Instead of understanding BOTH supply and demand, instead of taking the time to be proactive, broadband ‘planning’ often takes a reactive path that simply addresses availability challenges. A more proactive approach includes consumer demand, now and what it may become. Ford and Jobs based their product design on potential demand, not just current demand. They also took steps to drive demand as many consumers don’t know the potential value of the product or service (the innovation). The gap between current demand and potential demand is the innovation gap. Planning for broadband demand is more than just availability, historic ‘take rates’ (current demand), and average revenue per user (ARPU) – which is a supplier viewpoint. Broadband demand assessment should be consumer centric, capturing how individual businesses, organizations, and households could use broadband along with how they currently understand the relevance and potential benefits of available Internet applications and Internet connectivity. For example, demand for broadband by businesses is a function of how each individual business understands which Internet applications they could and should be using to be competitive, as well as understanding how each drives new revenues and/or cost savings. Some consumers understand the relevance and benefits of what they can and should be doing online while many do not. Uncovering current and potential demand helps us plan for today, meet the broadband needs of tomorrow, and do so in a manner that is fiscally sound. Without understanding demand, current and potential, we are painting ourselves into a corner where the only acceptable outcome is building fiber, everywhere. For most communities, that’s just not financially feasible and possibly not even necessary. Furthermore, only addressing broadband availability does not address gaps in innovation and competitiveness. Every community is unique and the plans that guide them forward need to be tailored to their specific challenges and potential, both on an infrastructure and human level. Not only do we need to maximize community benefits with what is available now, but also what will be needed going forward to thrive in a digital economy. The current broadband planning paradigm needs to change. SNG is taking our own steps to do just that. From working at local, regional, and federal levels we have developed both quantitative and qualitative measures of the actual and potential impacts from using broadband. These measures provide the data to inform smarter investments and help set priorities which are critical for broadband planning that increases local economic competitiveness and quality of life. SNG is helping our clients effectively drive availability, social outcomes, and economic development through broadband with this holistic approach. We are forging partnerships to expand our broadband data collection and use this information to deliver broadband plans that are customized, comprehensive and strategic in addressing both supply and demand. 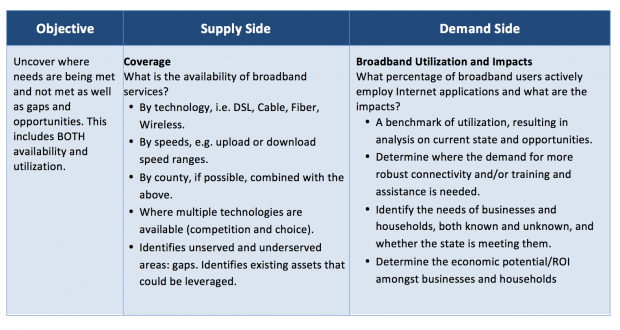 We have already delivered on this approach with the State of Tennessee, measuring both supply and demand statewide to uncover innovation gaps and opportunities to drive economic development through broadband (see the Tennessee Report). Our approach enables communities to develop customized and realistic broadband development plans. As the number of applications and services delivered over the Internet grows a holistic approach ensures that planners and leaders understand existing gaps, barriers to adoption, and best practice strategies to build potential demand and capture the full benefits from broadband investments. Broadband infrastructure and the capacity to use it are critical to innovation, economic competitiveness and community development at every level. Communities large and small, rural and urban need a holistic strategic approach to grow business and support a high quality of life. To learn more about how taking a holistic approach to broadband planning can help your community, contact SNG. What Kind Of Speed Matters for Broadband’s Economic Development Impact? In a world moving increasingly to gigabit Internet there is no doubt that, everything else being equal, faster speeds are better, but at what point does speed make a difference? How much of a measurable economic development difference does faster deliver? For communities and regions looking to make their own business case, this detail is critical. The economic benefits from broadband are severely limited unless you have at least 4 Mbps upload speeds. Over 70% of small businesses (fewer than 50 employees) have less than 4 Mbps upload speed , creating a barrier for these organizations. 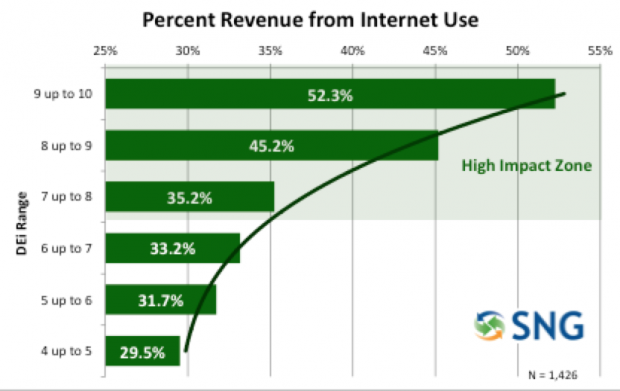 This is a major inhibitor to economic growth through broadband as SNG’s research shows that higher utilization of the Internet for online business activities brings higher revenues. SNG measures utilization using our own Digital Economy index (DEi), a normalized, weighted index of 17 potential online activities (eSolutions) covering a wide range of typical business functions. A DEi score of 10 means that all eSolutions are used, with a score of zero meaning that none are used. 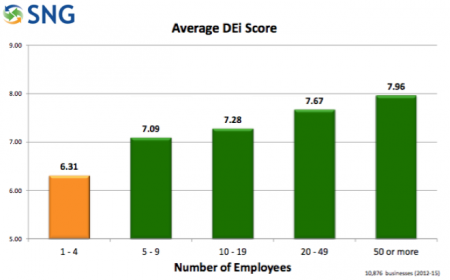 The average DEi score for SMEs is 6.6 (out of 10). SMEs fully utilizing the Internet – a DEi score in the top range – generate 20% more of their total revenues from their online activities compared SMEs with an average DEi score. In a nutshell, the more – and more effectively – you use broadband, the more financial benefits there are to be realized by businesses. Higher utilization by SMEs increases direct revenues (and cost savings), which means greater and faster business growth, more jobs, and flow through impacts to the local economy. Why is 4 Mbps upload speed a critical point? Comparing DEi scores (utilization) with upload speeds we see a high correlation with high utilization when upload speeds are above 4 Mbps. Below 4 Mpbs the utilization drops off significantly. 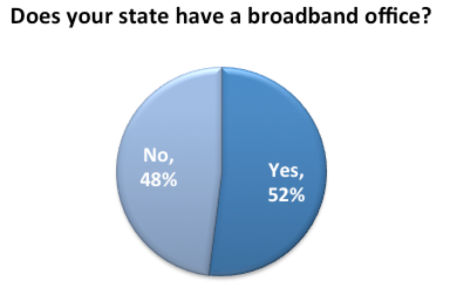 The vast majority (71%) of fiber users have 4 Mbps of higher upload speed. 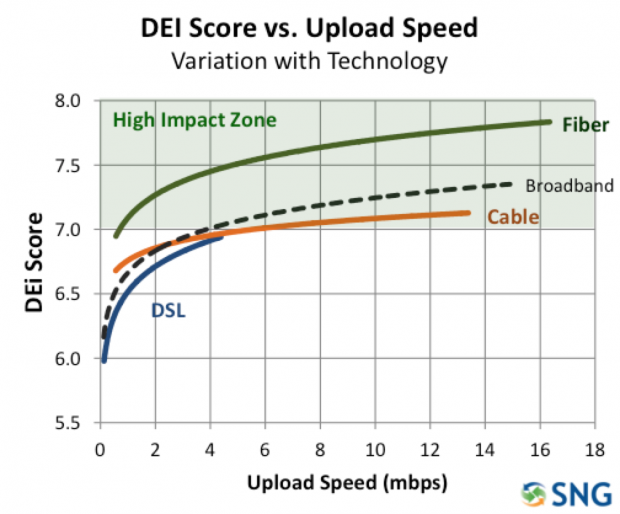 Cable users experience a broad range of upload speeds, with only 42% above 4 Mbps. Over 92% of DSL SME users have less than 4 Mbps upload speed putting most DSL SMEs below the high impact zone. Considering that about one-third of SMEs use DSL, one-third use cable, and only 8% use fiber , a significant portion of SMEs are constrained by lower DSL or cable speeds. Speed alone will not drive utilization and impacts, but minimum upload speeds are a key enabler, empowering SMEs to take full advantage of broadband. Obviously the trend towards more fiber will help address this speed requirement. It is also important that when offering higher speeds with any technology that the service pricing is affordable compared to the lower speed alternatives. A lot of resources have gone into broadband mapping, but to get a true read you need to do your own market research into which businesses in your area have access to 4 Mbps upload speeds and their Internet use – this may involve asking them to actually run the sped test in a survey. Identify the gaps in sufficient upload speed and make these a priority for investment in both infrastructure and broadband training so that local businesses are using the Internet applications they need to be competitive and grow. If you are in a rural area you know that broadband is critical to keep your businesses and citizens thriving but it also is inevitably more costly to ensure availability to 4 Mbps upload speed. In the US for example, it’s unfortunate that the Connect America Funds are only requiring 10/1 Mbps fixed broadband which neither meets SNG’s recommended 4 Mbps upload nor the FCC’s new requirements of 25 down and 3 up. For all businesses to have the opportunity to effectively participate in an economy that is increasingly online, 4Mbps is a critical minimum level of service. Some businesses will need more, however those businesses that do not have access to 4Mbps will be at a competitive disadvantage. Next month we will cover some considerations for where you should look for funding and what your priorities to get started. Source – Strategic Networks Group, Inc. – Data collected from businesses across seven states since 2012. The remainder of about 26% use other technologies (T1, fixed or mobile wireless, satellite, etc.). Not so long ago taking college courses online seemed like a far-fetched idea. Today, formal and informal online learning is the norm for students across the globe It’s not so different in the business world as just-in-time learning opportunities become more and more available. Despite available learning opportunities, it can be tough for entrepreneurs to “keep up” with trends and business knowledge. This is troubling when approximately 90% of all American businesses are classified as “small businesses” and they are often stretched too thin to understand how to leverage Internet applications. Counting on the Internet to magically create innovation and growth (build it and they will come) is a strategy proven to fall short time and time again. The classic classroom training session is the least appealing method of learning amongst businesses. 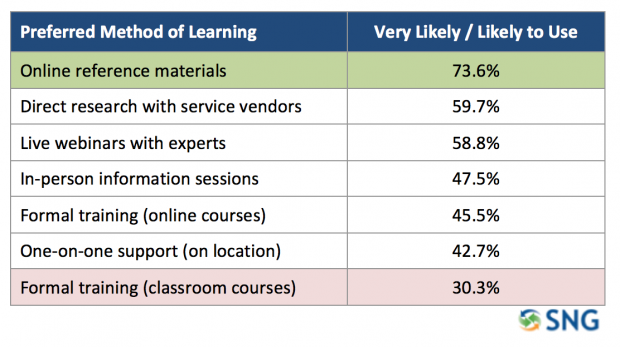 This is consistent with the fact that “lack of time” is cited by SMEs as the biggest barrier to learning more about Internet applications. The more popular, learn-on-your-own-time method using online materials fits within the very nature of entrepreneurship, allowing business owners/managers to access materials when they need to, often during off business hours. Easy-to-use and understand online reference information and guides that focus on the business value of Internet applications. 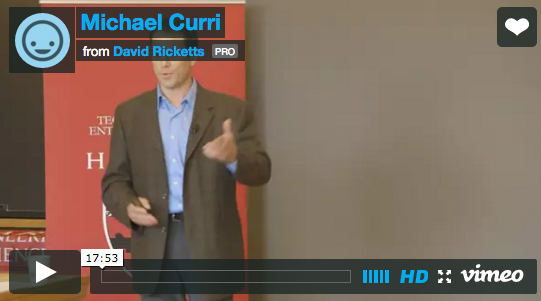 Webinars with experts and influencers on well-focused topics. A network of tech advisors who can assist businesses in sorting through their information needs and identifying needed sources of expertise. Together, each of the learning methods above will help drive results. Compelling and accessible information delivered by influencers and case studies can motivate entrepreneurs. Tech evangelists and trainers can provide the hands-on guidance needed to help small businesses make the transition to more fully connected operations. Proactive post-training with motivated businesses will capitalize on their desire to grow their business, and with it your local economy.